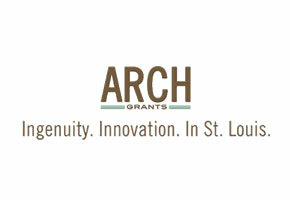 St. Louis Arch Grant Finalists! | SmashToast, Inc.
It’s been a busy several weeks, with the manufacturing underway and implementing the valuable feedback from our alpha test. One of the more exciting developments we didn’t share was our selection as finalists in the St. Louis Arch Grants competition, which the chosen recipients receive $50,000! Last Wednesday and Thursday, SmashToast pitched to the panel of 20 judges for 12 minutes, along with 30 other finalists. It was a fantastic experience and we are hopeful that we made a good impression. We should find out soon! St. Louis has a great burgeoning startup scene with several co-working spaces in the city, including Nebula, T-Rex and CIC@CIS. They were incredible hosts with a very welcoming atmosphere. I encourage all local entrepreneurs to attend Thursday evenings at the Venture Café as well. It is a great networking venue and they serve free craft beer!